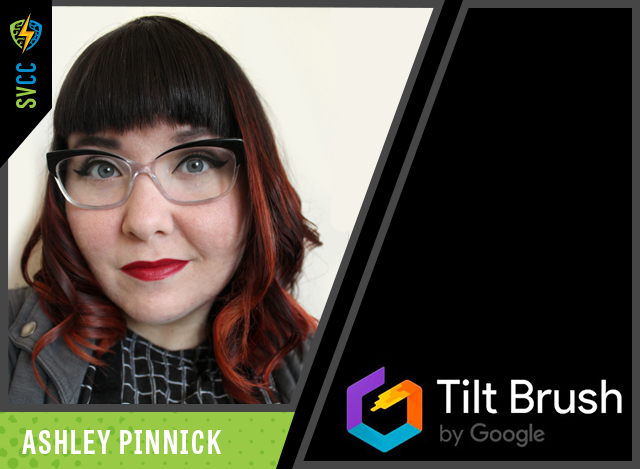 Ashley Pinnick is Technical Artist based in the Bay Area. Her work is driven by melding art with technology, realized through creating experiences across genres and disciplines. In the last few years, she started her indie game studio California Rex, developed VR/AR projects for Disney Studios and Sony Pictures, and piloted the first VR courses at ArtCenter College of Design. She’s currently a Tech Artist working on Tilt Brush at Google.